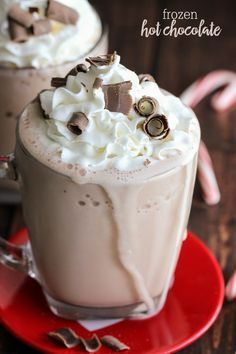 3-Ingredient Frozen Hot Chocolate - this drink takes a minute to make and is SO delicious!! All you need is some milk, hot cocoa packets, and ice and of course some cool whip and chocolate curls for topping! 0 Response to "FROZEN HOT CHOCOLATE"